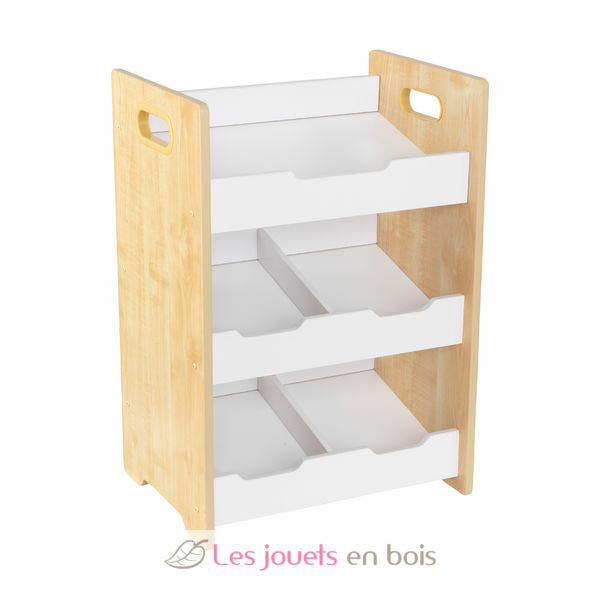 This multi-bin unit is a super sturdy organizer made for keeping your playroom free of clutter. Three angled shelves makes it easy for kids to pick out their favorite toy or book and conveniently store them after play time. Angled Bin Unit - Natural With White Shelves made by Kidkraft - 15766.